Can someone explain to me how to use it and when I should use which size of grater? Should the tomatoes be boiled first or not? That's a manually operated Food Mill/Ricer/Puree-Maker. 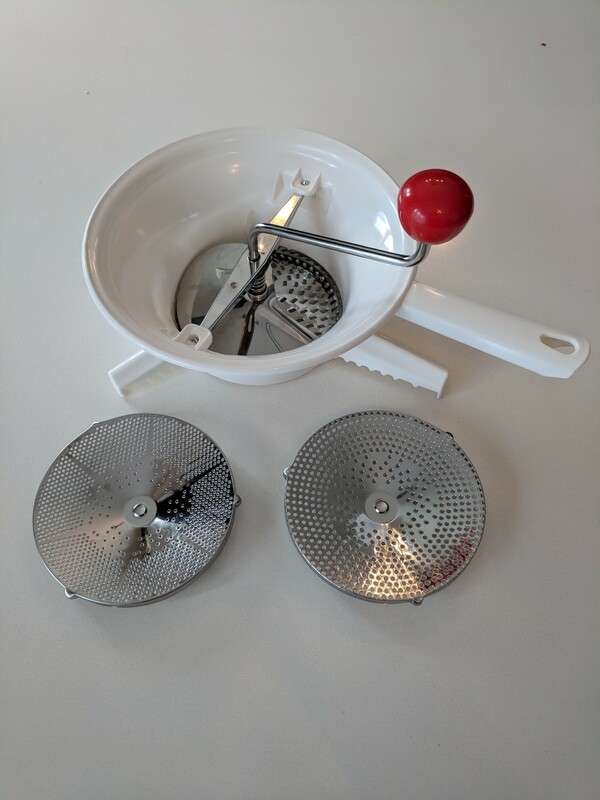 Uses of a food mill include removing the seeds from cooked tomatoes, removing pulp or larger pieces from foods (creating apple jelly or any type of purée), and making mashed potatoes or spätzle. 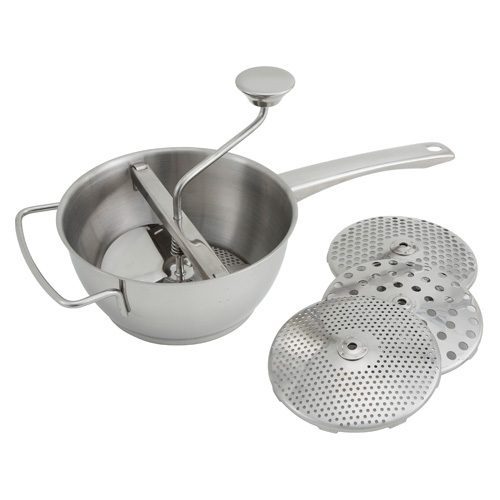 It's not likely that you could uses this for peeling the skin from tomatoes though. Not the answer you're looking for? Browse other questions tagged tomatoes peeling spaghetti skin peel or ask your own question. Should I skin the common sole for pan? How to measure tomatoes for making sauce? Can the skin of lychee be used for anything? Does reducing the clear juice from tomatoes have a name? Should indoor ripened tomatoes be used for sauce?